Happy St. Patrick’s Day to you. Hope you enjoyed the day. In honor of this day I decided it was only appropriate to take a photo of Guinness Beer. To get this shot and others I had to utilize multiple bottles of Guinness. Hey, it’s a tough job but someone has to do it. I shot almost 200 photos between testing the setup for this shot and getting this shot. If you look on my Flickr site you can see some of the others from this shoot but for me I thought that this one turned out the best. I can also report that it tasted the best too. I shot this with a Canon 5DII in manual mode with a shutter speed of 1/125th and an aperture of 2.8. I used a Canon 580EXII with a white paper snoot and positioned it high camera right. If you look at the light and the shadow on the surface where the glass is you can tell where the flash was positioned. I didn’t want a lot of light for this particular shot so I used a low power of 1/128th. I love this one. Maybe because I love dark beer. 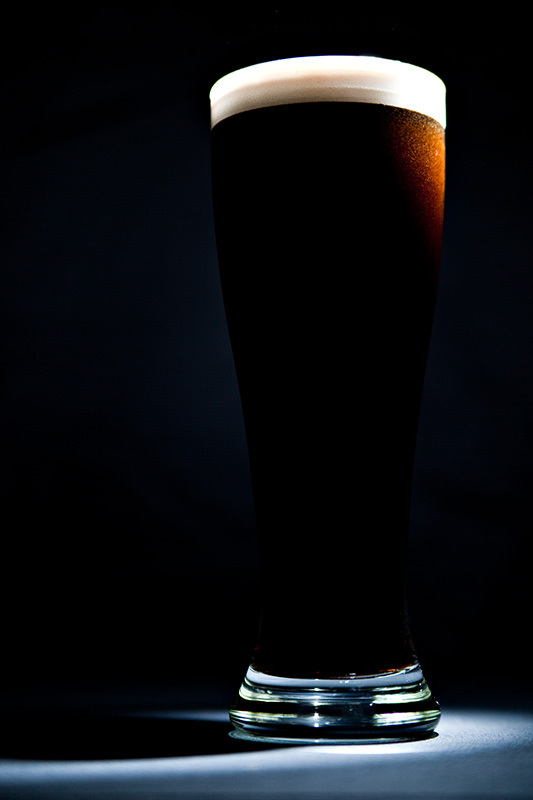 Beautiful contrast with the dark beer and light foam.